Founders Park has three pickleball courts available for play. 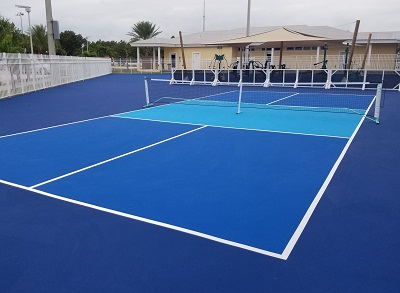 The court in the outdoor fitness park (behind the Community Center) is freshly resurfaced and open for play from sunrise to sunset. The basketball court was repainted to provide two additional courts for our avid pickleball players. The multi-use court is available for pickleball from sunrise to noon and for basketball from noon to sunset. Visit http://islamorada.fl.us/news_detail_T13_R267.php for details.